Do you feel frustrated trying to be centered and relaxed as you ride? [text_block style="style_1.png" align="left" font_size="14" font_font="Arial" font_color="%23000000"]Do you dream of…. Ease and freedom in the saddle that you and your horse will love! But right now, that freedom may sound impossible. It doesn’t matter how much you ride, how many lessons you take or how much you work on your core, the changes seem minimal at best. You keep thinking that if you just try harder it will get better, but it doesn’t. 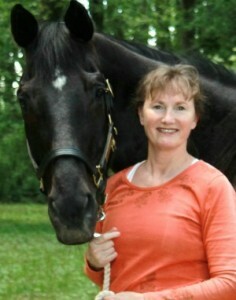 Resignation and doubts may be holding you back from a life of ease on your horse! We’d love to help you get started with an Effortless Riding Discovery Session. [text_block style="style_1.png" align="left" font_size="14" font_font="Arial" font_color="%23000000" bottom_margin="20"] Together, we’ll explore your biggest challenges and what could be stopping your from fulfilling your dream of centered, relaxed riding as you trot and canter along. Whether you’re returning to riding after a long absence or have been back in the saddle for a while, this session will launch you in the direction you need to go. I will make a professional recommendation for how you can get the best results to ride with confidence and create the life you’ve always wanted with your horse. My schedule fills up quickly! Please apply now if you’re serious about ease and freedom in the saddle in a way that your horse will love you for! [text_block style="style_1.png" align="left" font_size="14" font_font="Arial" font_color="%23000000" bottom_margin="20"]<a href="https://www.ridingforwomen.com/wp-content/uploads/2015/05/image-Heather-and-Weston-for-webinar-does-this-one-work.jpg"><img class="alignright size-medium wp-image-222" src="https://www.ridingforwomen.com/wp-content/uploads/2015/05/image-Heather-and-Weston-for-webinar-does-this-one-work-236x300.jpg" alt="image -Heather and Weston for webinar- does this one work" width="203" height="257"/></a>Together, we’ll explore your biggest challenges and what could be stopping your from fulfilling your dream of centered, relaxed riding as you trot and canter along. 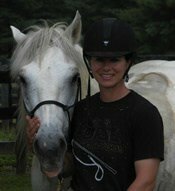 This summer, I rode my first Training level dressage test. 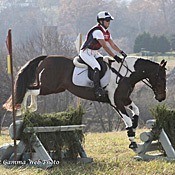 The judge’s summary comment was: “the basics of rhythm, relaxation, and contact are lacking.” I realized that I needed to address my inability to relax in the saddle, before I could fix the other issues. In my heart, I knew my stress was related to worrying about making my lower back pain worse. I was introduced to Heather and started doing virtual sessions with her. Through her online course, I learned how to achieve a deep balanced seat and ride pain free! Her customized floor and mounted audios help me reinforce what I learned in our video sessions. This weekend, I took a 2-day clinic with the judge who made the comments above. I was able to sit the trot with a deep balanced seat! That allowed me to focus on developing a more supple connection over a rounder topline. I’ve participated in many types of bodywork sessions, learning techniques & environments, as well as many sports activities that require focus, concentration, hard work and practice, which are typically the keys to success. Feldenkrais activities with Heather Beachum however, are different. They are easy, interactive and relaxing. 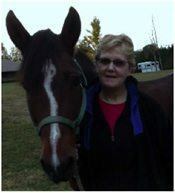 As an equestrian, Heather has profoundly improved my ‘seat’ in a way that no other instructor has been able to in over 30 years of riding. I’ve never sat so deep in the saddle with such a secure feeling and free of knee pain. Words do fall short of describing the change and feeling. What I can say is that I look forward to competition again and doing so pain free – unlike how it occurred for me in the past. So looking forward to more improvements! When I first started seeing Heather, I was in chronic pain in my SI joints and having Chiropractic work 1-2 times per month. My riding was suffering because of tightness and tenseness related to the chronic pain. After a ride, I would get off sore and discouraged, and know that my horse was not working at her optimal ability because of me.